YOU CAN TAKE THE JEW out of the Democratic Party but you can’t take the Democratic Party out of the Jew. Bernie calls himself a “socialist” but he’d fit right in with Bill Kristol and his fellow Jewish neocon right-wing militarists. While Sanders is “not a big fan of Netanyahu,” he supported and voted in favor of his genocidal attack on the Gazan Palestinians in 2014. After all, Bernie’s a Zionist at heart. Bernie fits the neocon bill when it comes to bombs and passing the ammunition against independent-of-Jewmerica countries. He supported the Nato bombing of Christian Serbia, and once in, backed the ongoing neocon war against Iraq. If Bernie Sanders feigns to have been against the invasion of Iraq, why did he repeatedly vote to fund it? When it comes to Feinstein and friends, Sanders outdoes them all. Abandoning his Vermont “pro-gun” stance, Bernie betrayed his local constituency by currying to a broader Jewish-Democratic base. In an about-face on Meet The Press this past Sunday, Sanders ‘adjusted’ his position on guns and advocated for a gun ban that would outlaw most firearms used for home and self-defense. Although the previously pro-gun Sanders won his first House seat with the help of an endorsement from the NRA, realpolitik kicks in. But what “principles” do Jews like Sanders have anyways? Bernie wants a good job with Hillary. Perhaps a renewed Clinton “kosher cabinet” as Secretary of the Interior? THAT WOULD BE a nice cushy job for a pseudo-socialist like Bernie, wouldn’t it? You’ve come a long way Bernie since your ‘kibbutzim’ days in Israel, followed by your ‘back to the land’ trek to Burlington. Why bring that all to a screeching halt? You’ve got a great JEWISH future ahead of you! No worries. Like most Jews who lose their hair, you’ll be wearing a nice new hat with Hillary. Never trust a Jew running for office. AND, never trust a single political hack in these days of TOTAL Jew control. Jews OWN both sides of the argument, whether Democratic or Republican. There’s NO SUCH THING as an “independent” in Jewmerica’s political arena. You’re either with the Jews or against them. If you’re AGAINST them then your political career is NULL and VOID. Sanders is a JEW. And like I say, NEVER trust a Jew running for office. Well written, another fine Article +BN, like so many. I share your disapointment at so many deadbeat readers, and Americans who are not on board supporting you. I will shortly be able to at least double my regular gift to your ministry, and as you see it your calling to expose the Jewish agenda here and worldwide. Thank you and rich Blessings, be encouraged in the Lord, as David did. Just wanted to say how much I’ve appreciated your Video exposes on Trump. Now you’ve turned the light on Sanders like sunlight through a maginfying glass! It’s great Article, packs a sizzling 1-2 punch, and really shows what a typical Jew-face hypocrite that Bernie is. He really has bamboozled the committed, earnest, and well-meaning anti-war Vermonters all these years. Now his true colors are coming out. Hey, Teach! 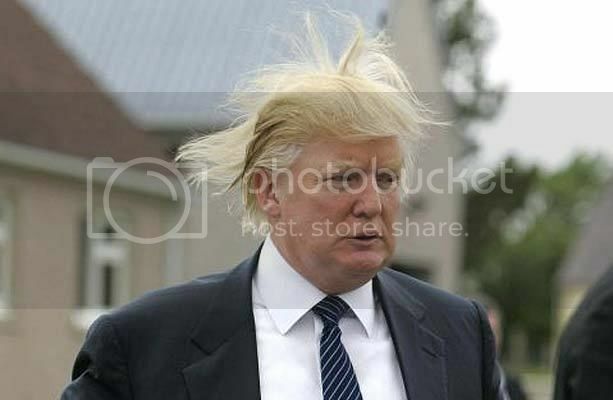 I know how he lost his hair like many Jews. Liar, liar, hair on fire! That’s how Bernie the Bomber lost his hair. God bless you, dear +BN. My donation will be on the way in the next couple of days. That’s the problem in a nutshell isn’t it? How Jews think one thing, say another and do a third. And not only that, they’ve also infected much of the world with this mental disorder. All Jews and no jokes makes for some weary folks. One says to the other, “I’m gonna go do it!” and he walks into the church. An hour later he comes back out and his friend asks if he converted. “And did you get the $100.00?” he asks. The first one rolls his eyes. Everyone should watch your Videos. Then scales might be removed from certain blind eyes. 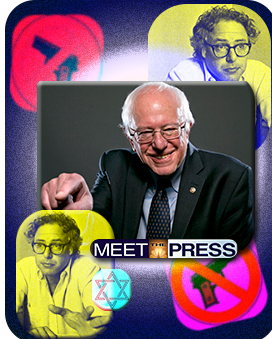 Bernie appears on ‘Meet The Press’ and his stance reveals a Jewish fraudster. Guns for those not in these categories - criminals, domestically abusive, those who hurt other people and the unstable. He actually describes himself, a Jew who follows the Kabbalah as most do. A follower of Torah and the Old Testament would never fit that mould. The Jew is as Paul described, ‘Haters of all men’. Does he really care that ‘50% of our black kids are unemployed’? If he did, he would shed some of his evilly accumulated millions to create employment for them. This he would never do. After all, the Jews were financiers and major movers in the Slave Trade that captured the free and herded them as cattle in death ships for the purpose of being ill-used by their future owners and masters. This is the usual deceit advocated in the religion of Judaism. He represents himself with charactristics that are the reverse of his innate make-up. All this to gain votes for someone who will act differently once in power. The Jews are destroying the whole world. Every facet, Everywhere. These satan worsipping demons are the enemy of all mankind. They only live to deceive you and destroy you. Look at what they have done these last 50 years! Their sick activities will hasten the greatest tribulation this world will ever see, that no flesh would be saved. How could God abhor anyone more than he abhors these lovers of satan! Oh will they deserve what will be coming upon them. Double for all her sins that have piled up to heaven! Yes, give her blood to drink. For she is worthy! Keep firing the punches, Brother, in the zeal for truth and righteousness and in the love of God YHWH! It doesn’t matter whether Bernie Sanders is Jewish or not. He is overall better than Hillary or Jeb Bush who are Goyim. Most of the corrupt politicians are not Jewish, they are just beholden to special interests and big money. I’m glad you exposed Bernie Sanders, just as you had exposed Donald Trump. As you said, Bernie bamboozled his liberal constituency in Vermont into believing he would vote against these wars of aggression against countries such as Afghanistan, Iraq, Serbia, Libya, etc. He voted for financial and military aid to the richest welfare state on the planet - ISRAEL. As Irene said, black youth unemployment is at 50% but Bernie doesn’t give a hoot … he’s as phony as a $3 bill. Benjamin Franklin warned against allowing European Jews into this country; he’d seen them in action in both Britain and France; so, he knew how they operated–and as Amschel Rothschild once said, “Own a nation’s money, and the nation is ours”. May the Lord Jesus Christ continue to bless you as you go about doing His work nationwide. He doesn’t need his hair. He can just wear one of those black caps the Jews wear. His jellied spine, that is saying one thing today, and another tomorrow, is unfortunately what we have come to expect from all politicians Jewish or not. Is it possible for a Jew to be loyal to anything other than their own kind? Am I wrong to say Jews are the greatest racists of all time? I think what they use to their full advantage is the unity of race. They preach division for everybody else but they stand alone United. Their unity has nothing to do with a unifying idea or principle, but something far more powerful, their race, their heritage, and all the myths they carry around about themselves. They purposely isolate themselves. They don’t assimilate. It’s like a deep rooted family unity. Families have good and bad kids, they might all have different views, but in the end because they are family, they are ultimately fiercely loyal to each other. Beholden of an ‘us vs them’ mentality, when push comes to shove its that base loyalty, the instinctive type, the only thing right is to stand united with my fellow Jew. Am I wrong? Am I being too general? Competing against that sort of racial cohesiveness is pretty tough to compete with. When you combine that with a radical commitment and obsession to materialism, with the definition of what is right is whatever it takes to get what they want, where the rule of law as we understand it is to them something to bend, break and change to suit the advancement of the race, not only is that very hard to compete with, it is also a threat to the security and safety of the whole world. Am I overstating the case, or am I just hating on Jews because they are Jews? The only way to neutralize the threat is for the rest of us to unite on good principles, and based on them attack the satanic infrastructure that has been built up all around us that is choking us to death. United the Jews stand and we are fallen because we have become so divided. The Jew who reads this might think, ‘here we go again with the anti-Semitism’, but to be anti-Semitic is to be pro truth, life and freedom. When someone places shackles on you, you don’t apologize for cursing the person who does it to you, you fight back and kill the enslaver. The Jews got their funky little country. Let them go there in peace, and they can isolate themselves there and be all pure and ’superior’ and s@, just get the f@ out of my country, because they don’t understand what it means to be loyal to the principles my country wad founded on–all men were created equal, and ought to have a clear path to pursue life, liberty and happiness, not to be infringed by and oversized and wicked government and banking system, built by a bunch of Jewish control freaks. We gave you your little country, so get out of this one NOW. I am gonna count to 10 and if I still see you standing there I start shooting. Am I overstating the case? Tell me what I am missing? Thought it was because his headboard is to close to bed. Hello Brother Nathanael, Why don’t you run for president? If it really comes down to who points out the FACTS with out being intimidated and making America GREAT again - You’re a shoo in! Thank you for ALL your honest and informative info. Au contraire. It’s a dead giveaway as to how they’ll act once in office. You might as well say some turds smell better than others. They’ve all made their deals with the Devil. But Jews worship the Devil. I got into a Facebook argument with some nasty Jew about Jesus Christ. “So Jesus created man and woman with original sin. Then he destroyed most of them for sinning, Then he impregnated a woman with himself as her child so that he could be born. Later, he would kill himself as a sacrifice to himself to save all of you from sin he gave them you in the first place”? Josh, that was an atheistic Jew at Facebook. As opposed to the Zionistic Jews. But at the end of the day both breeds are Devil worshiping Jews. How did you answer him/her? #1. No, not in my understanding of what you put forth. BTW check out Sabbaths-Frankists /Sabbatean-Frankists. #2. You are missing anywhere from between 95% to 110%* (*= for those with a negative “net-worth”) of the wealth that you worked for, and has subsequently been stolen from you over your lifetime if you are part of the population of the U.S. in my calculations. Let that sink in for a moment. A simple example follows. Example: Fixed income of $50,000 per year. Joe has vacationed on Nantucket Island each year from 1975. The hotel he always stays at cost $20.00 per night in 1971 and increased in cost each year forward. He stays 60 nights in 1975, total cost $1200. It is now 2015 and the exact same room goes for $400+ dollars per night - yet Joe still has a $50,000 a year income. Today he is able to stay for possibly 2-3 days ($1200)-his income should be $1,000,000 a year (to equal the value back in 1975). Where has the missing $950,000 gone just for 1 year! Into whose pocket has all that “WEALTH” ended up in (each year) over the 40 years from 1975-2014. We must all work together to end this “ponzi” scheme which has created hell on Earth. These devil’s have stolen heaven from us. With B.S. as President it will still be the same ole B.S. as usual unless he promises and then begins the process with Congress and the Senate to end USURY by issuing “Real Money” not destructive “fiat money”. What do you think the chances are that he will run on “that” platform? I have never heard of this man before and he does not interest me as he is planted by the Democrats to divide the votes when he drops out of the race. Today, Mathews called out on Wassermann on the difference between a Democrat and a Socialist! She/He fumbled to answer the question. What I have come to realize that is more dangerous to America and Christians then Jews and politicians are the very tax exempt status nominal Christian churches in America. Try as I might several churches refuse to address, much less inform their flocks about the present and future dangers facing America and Christians in particular! Even mentioning biblically Rev. 2:9 and Rev. 3:9 and the Banksters and Wall Street Jews sucking the wealth out of America and her people, is met with calls of being Racist and Anti-Semitic! How can America and her Christian people ever address this threat too our very existence when the 501c3 so-called Christian churches refuses to allow any discussion about the threat? Good “hair-piece”. However, (and after listening to meet the press interview), Bernie remains a formidable foe, a dangerous force and threat to be reckoned with, a “strongman” never to be underestimated. Ha! He knows what to say and when and how to say it. Slick,confident, passionate (nothing not to like). Such “righteous indignation”. Just afraid this modern-day snake oil salesman is going to ultimately charm the pants off the desperate masses at a vulnerable, demoralizing time in U.S. history. He will likely secure the minority (especially black) vote, watch. Brother Nathanael, I pray your bounty increases! Please help support Brother Nathanael with your dollars in these exciting times and so long as the the web remains the last bastion of “free speech”. Citizen Fitz’ comments stellar. Great turd/special interest big money comment. . LOL. True Dat. …a tribe, “a tribe* is viewed, historically or developmentally, as a social group existing before the development of, or outside of, states. So this social organisation stuck in the Stone Age is active now, and guess who the “enemy tribes” are …everyone else on the planet. Some old bald Jews never die. They just move on to another State. Hopefully, if he comes to power he will defund Bibi’s IDF, the Infanticide Defence Force, the only military in the world that focuses on killing children to cheering Jewish crowds. Working on a groundbreaking Article on the Price Tag attack and torching of the Palestinian 18 month old infant. I live in Cincinnati, and for the past 15 years I’ve been observing this free rag called “City Beat” magazine that is distributed to the supermarkets, public libraries etc. every week. I’ve always suspected that “City Beat” is a Zionist-communist Jew rag being used to undermine the Christian communities in Cincinnati with a huge emphasis on “gay rights,” “multiculturalism,” and the phony “war on terror”. 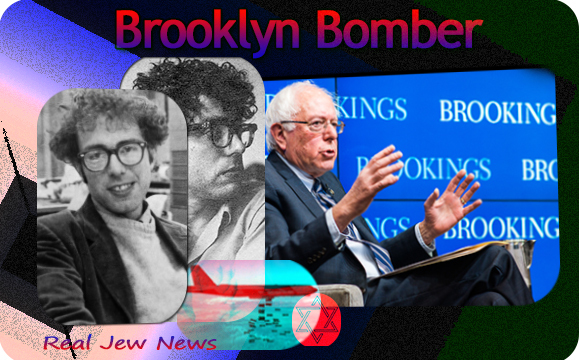 This week, “City Beat” has a large featured article about Bernie Sanders. Instead of any criticism, it’s an an essay based on adoration for a creep that has always promoted “gay rights” as well as portraying him as a righteous demonizer of Arabs and Muslims who calls Vladimir Putin a dangerous man. This essay promotes yet another “wolf in sheep’s clothing” who wants total destruction of Christianity in Europe, the United States and Russia. Sanders wants endless genocidal wars between Christians and Muslims and Arabs while blaming 911 on cave Arabs who couldn’t fly Cessnas when all evidence points to it being a Zonist-communist Jew job. He promotes homosexuals as wonderful people (a lot of them are promiscuous pedophiles) and “women’s rights” (hating heterosexual males and having abortions on demand). According to Elizabeth Dilling’s masterpiece, The Plot Against Christianity, Jews are not mono-theists. The other day in Jerusalem an Orthodox Jew stabbed a lesbian in the neck at a gay rights parade. Within Judaism are there some who believe in one God and others who believe in a variety of gods? Did that crazy terrorist believe in one God or did he believe in a variety of angels and demons such as Metatron, Lucifer, Baal, Moloch? And recently I see that a lot of Jews don’t get on with each other. One Jew said to another “you are not a real Jew”. Then the ADL pounced on him and said they are all real Jews. I just want to know in my heart, what is going on? Who is Metatron? Who is Lucifer? This is what Jews believe in? Jews don’t even believe in one God? If so, we need to get the word out to all of the Christians straight away. The one delusion among Christians today is that Jews are the chosen people. If they realise Jews are the Devil’s people who believe in Metatron and Lucifer, not the one true God, then WOW it will really be time for Jews to leave all positions of power. This is what Obozo the Clown promised before. No Too Big to Fail banks; no more power to Wall Street over economy; no invetsment banks monopoly on economy; no financial role to extremety on economy; no backdoor on government; no advancement of NAFTA, FTA. Guess what happen? All of them advanced further. He chose all Jewish policy makers. 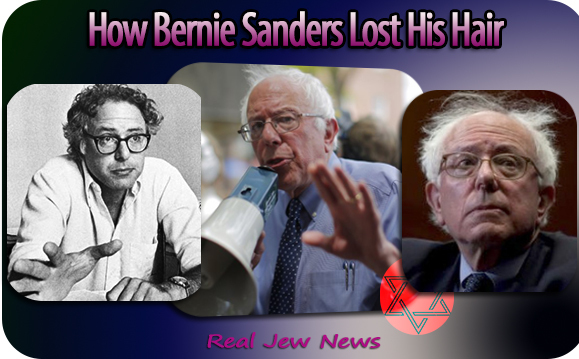 And you think the same clown today as Bernie who is Jewish, is not going to be lead by Jewish leftist policy makers? History repeats itself as the wealth of clowns goes up not down when they get the power. It seems as though we haven’t a way to beat these criminals as they have ALL BASES COVERED! Some write here about the Christian churches in America. Therein lies the problem. They sit in their sanctuaries and listen to the leaders preach the Zionist line every Sunday. And it’s not just the fringe element. Most of the churches are Zionist based. The so called “Judeo-Christian” religion is an oxymoron if I ever heard one.